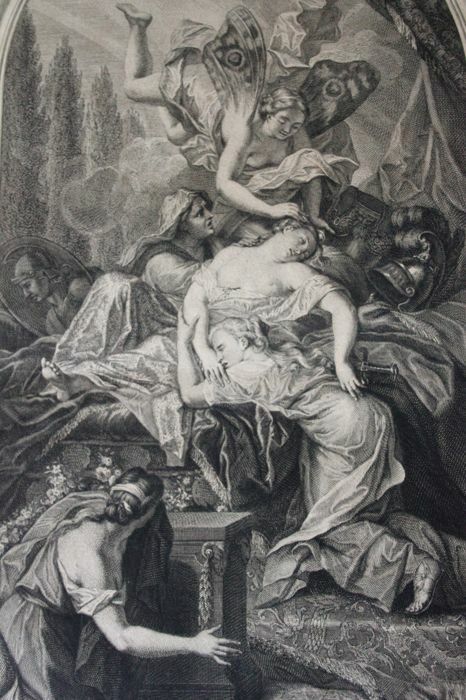 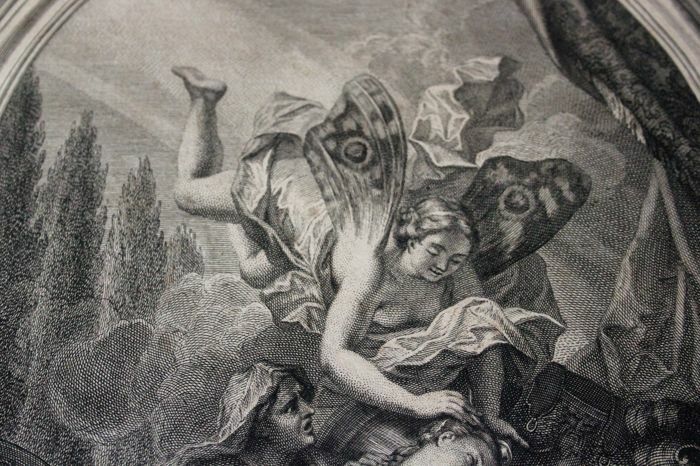 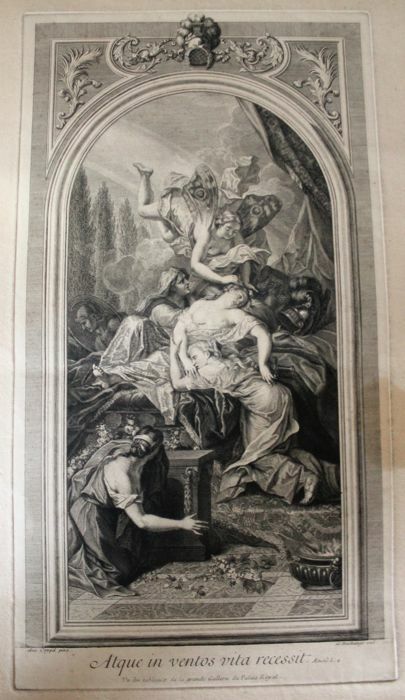 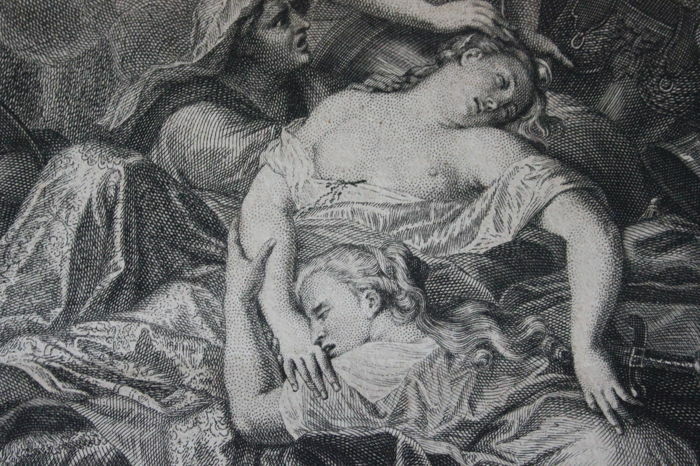 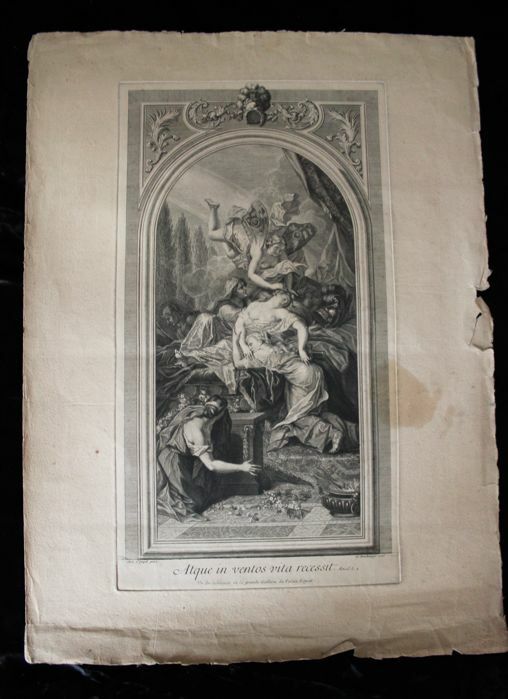 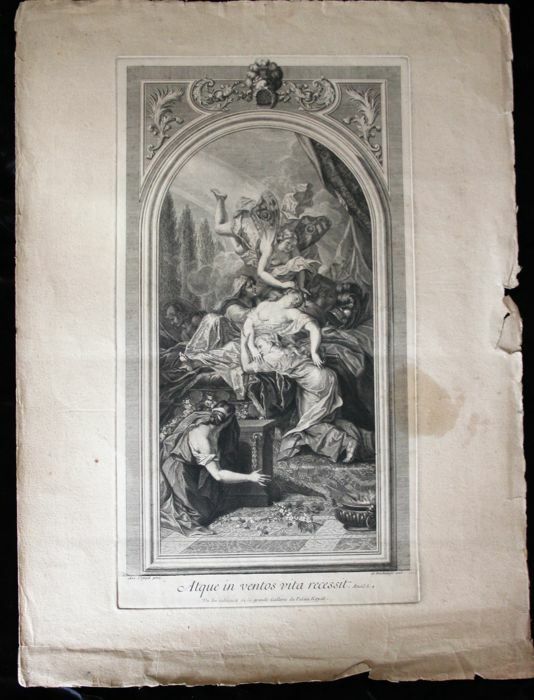 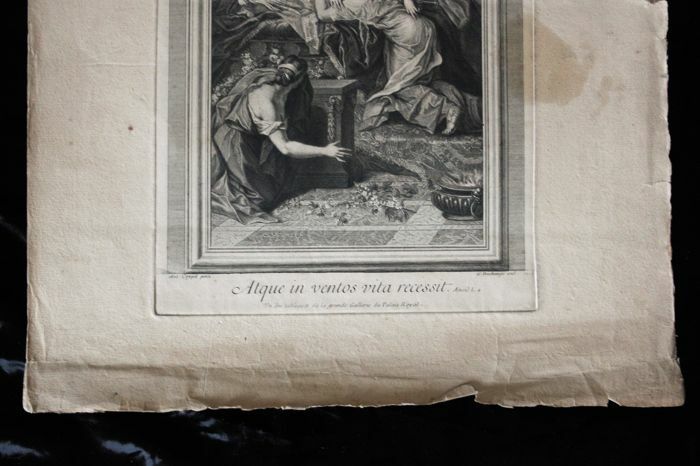 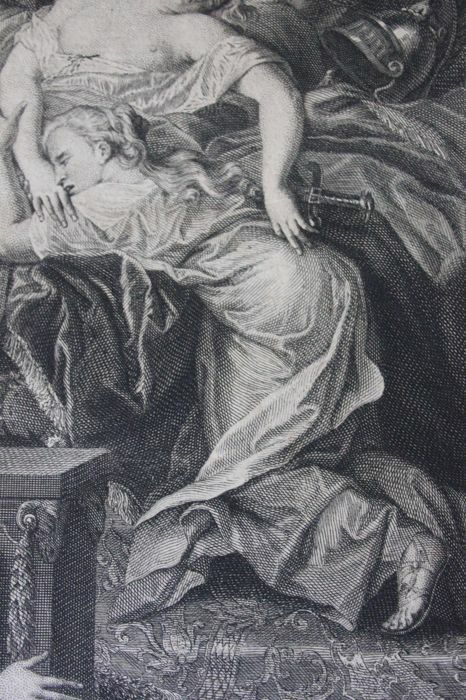 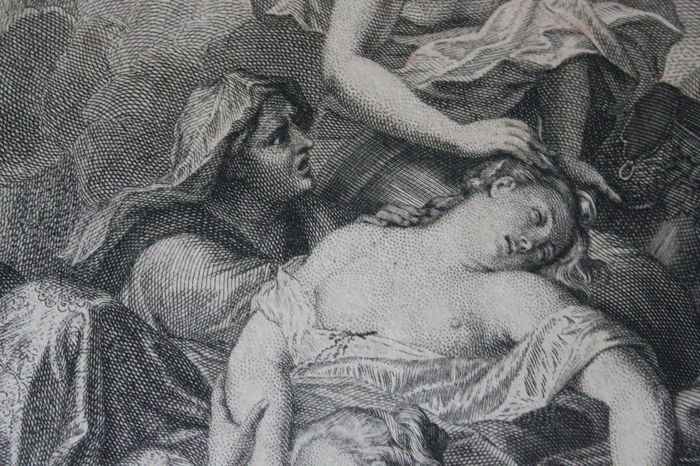 " Passion et suicide de Didon "; engraving after the painting which disappeared from the Gallery d’Enée at the Palais-Royal by Antoine Coypel (1661-1772). 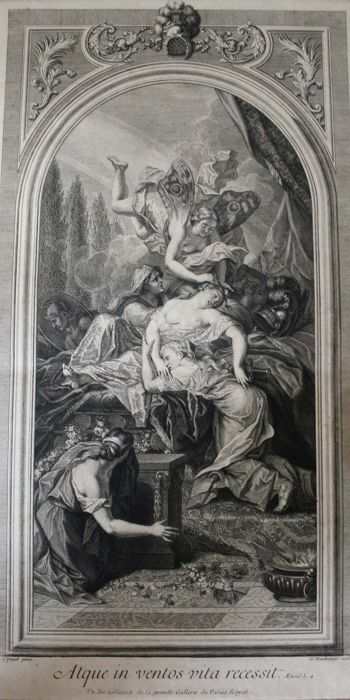 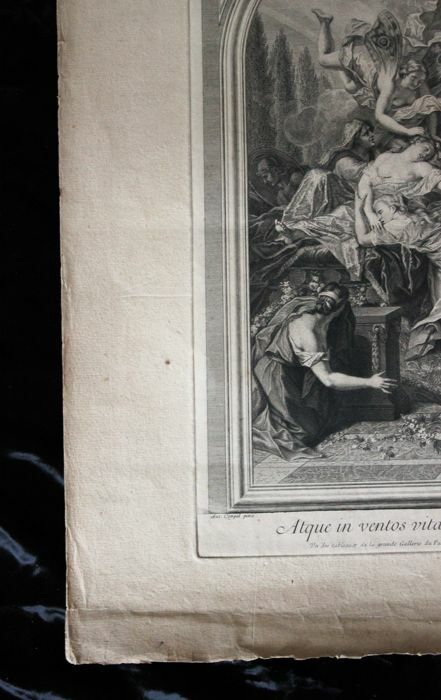 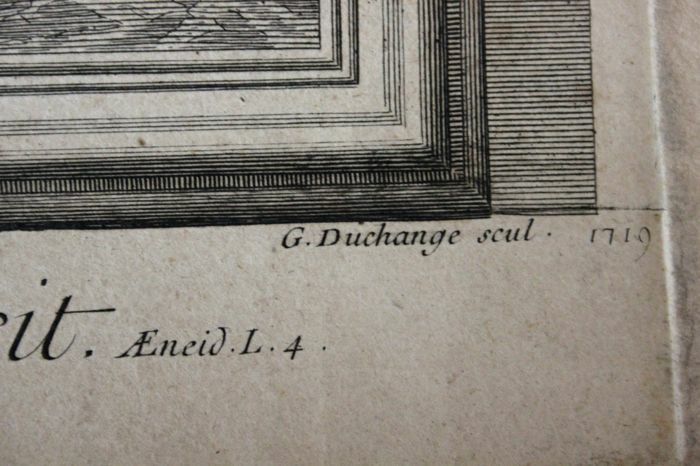 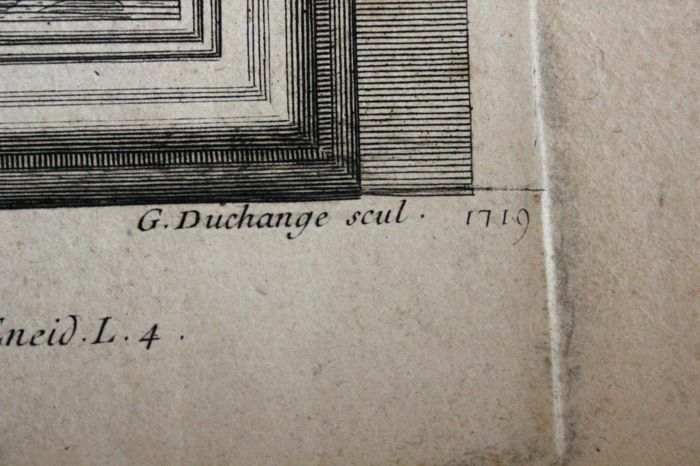 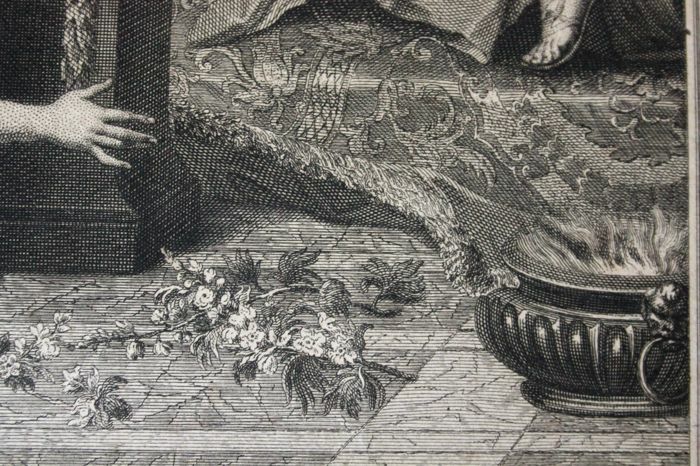 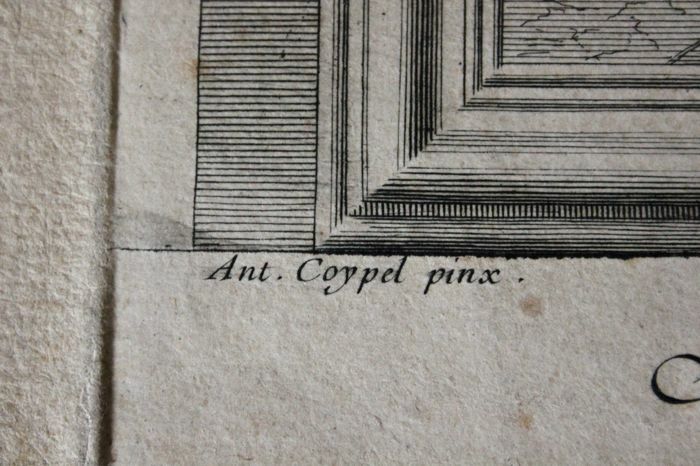 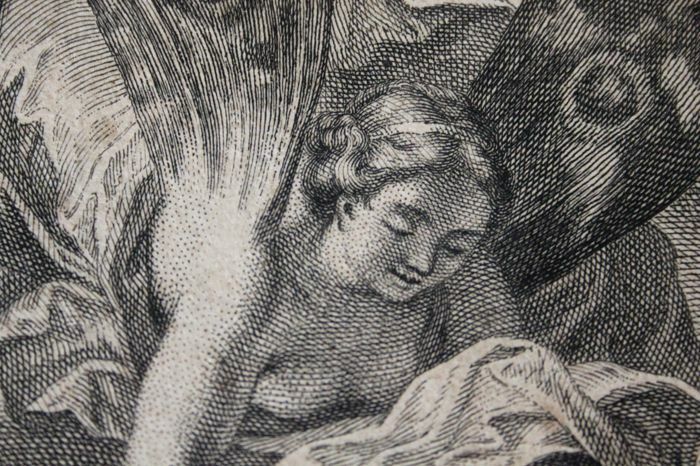 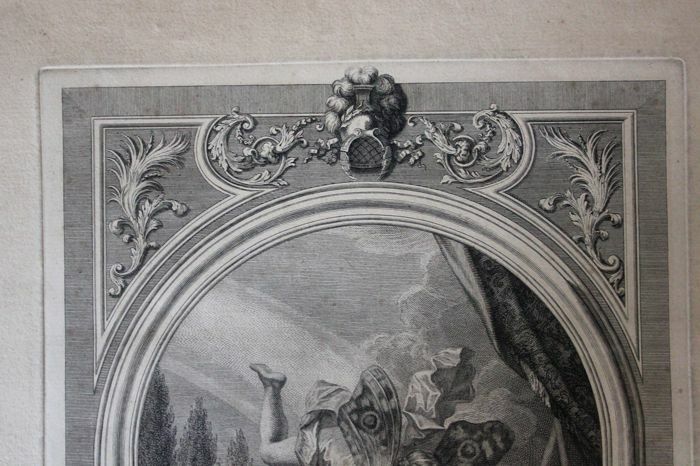 Engraved by Gaspard Miller (1662-1757). 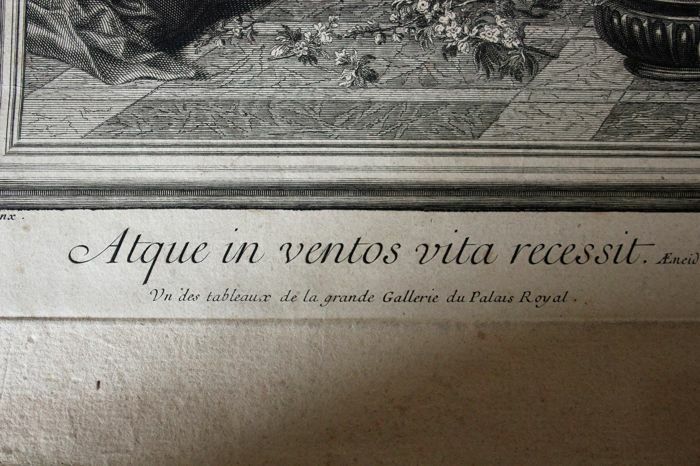 Palais-Royal was the home of Anne of Austria, widow of Louis XIII, Queen of France and Regent of the Kingdom and King Louis XIV and the Duke of Anjou, her sons, from 1645,. 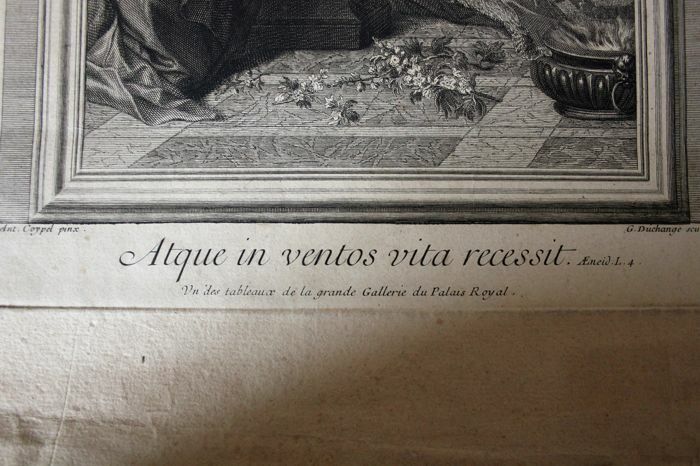 Formerly known as Palais Cardinal given by the Cardinal de Richelieu to his King. 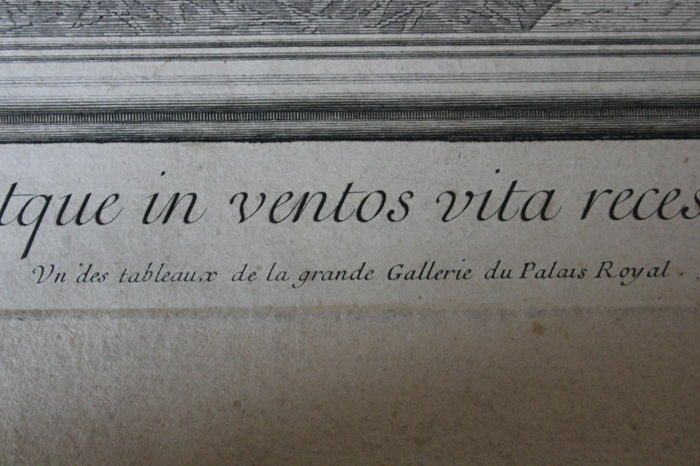 His second gallery, built by Jules Hardouin-Mansart in 1702, is known under the name of the Galerie d'Enée. 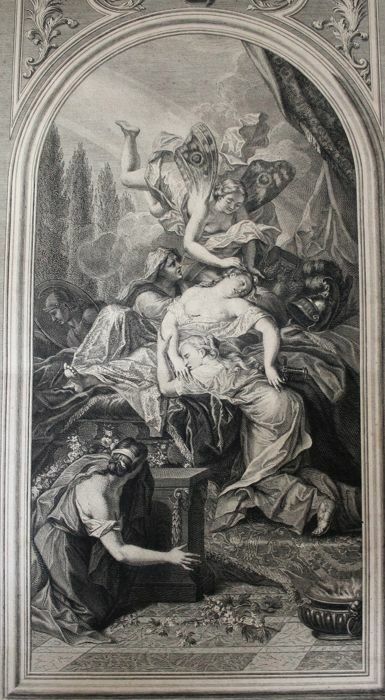 The Duke of Orléans, regent, wanted Coypel to represent the history of this hero in thirteen paintings placed in the vault and on the panelling. 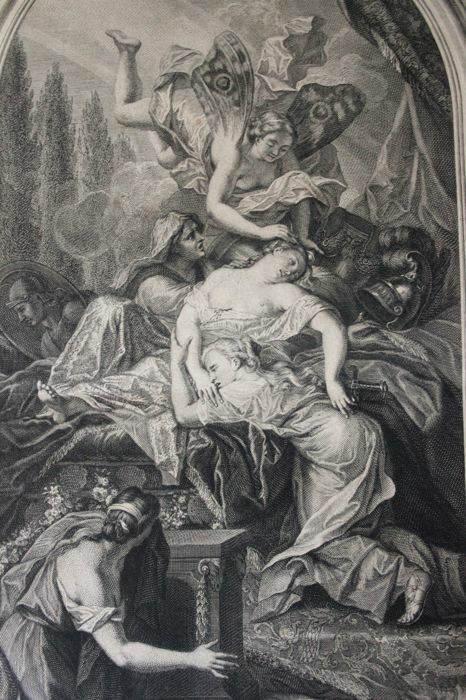 The prince drew himself several subjects from the Aeneid. 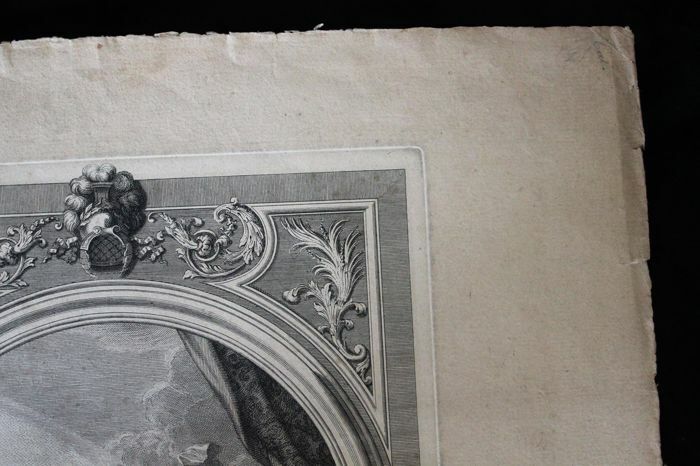 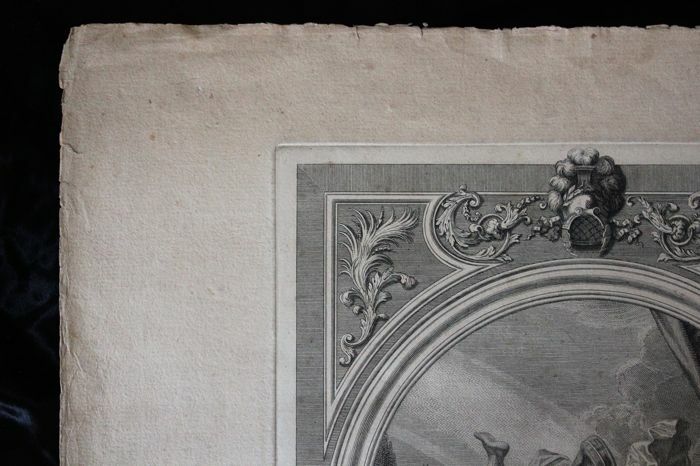 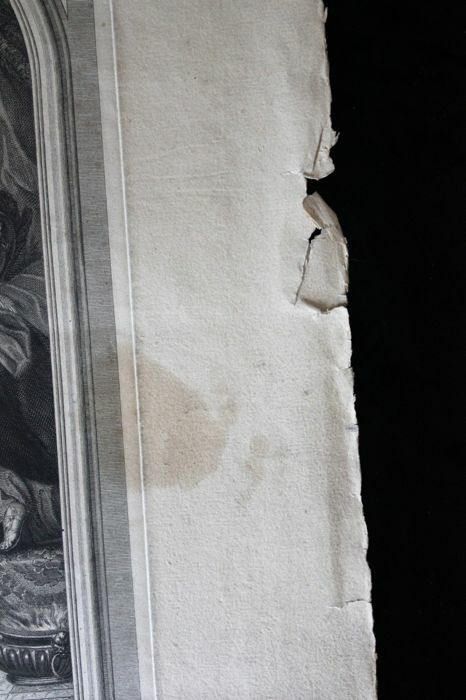 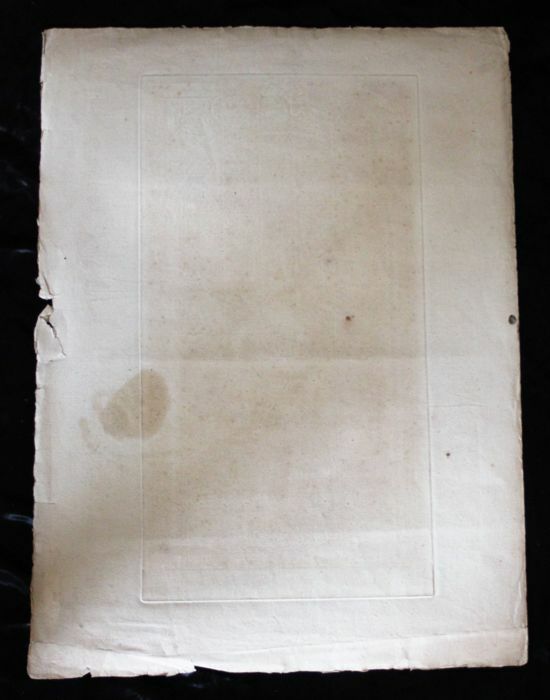 In good overall condition, signs of wear, foxing, folds and stains (see pictures for details).